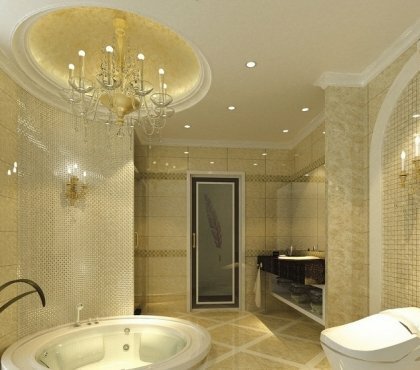 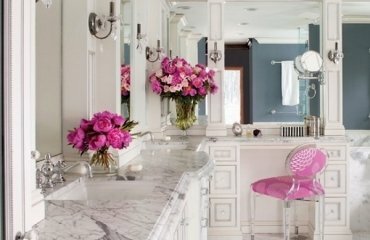 The bathroom is one of the most used rooms in the whole house and very often bathrooms are not as large as we would wish. 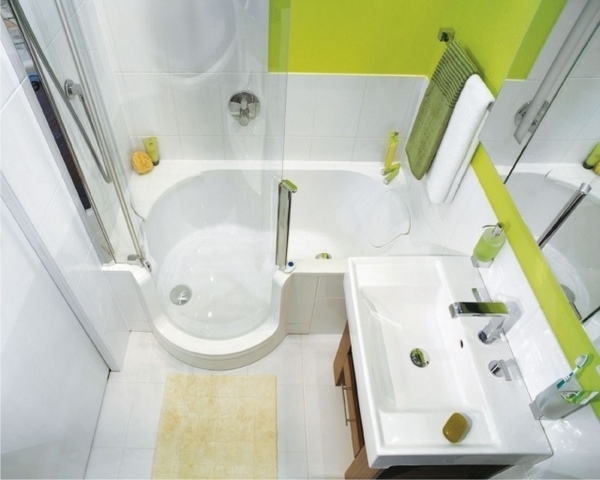 The comfort of the home occupants is guaranteed with the modern ideas for small bathrooms. 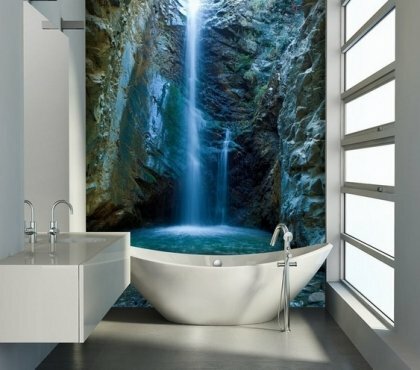 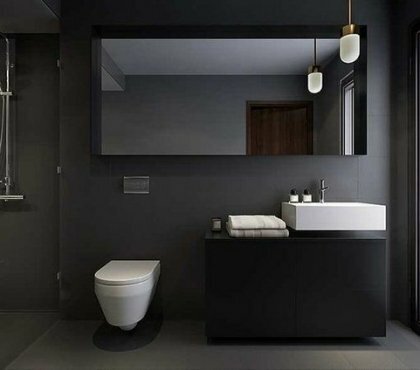 A modern bathroom is very flexible and you can create true miracles. 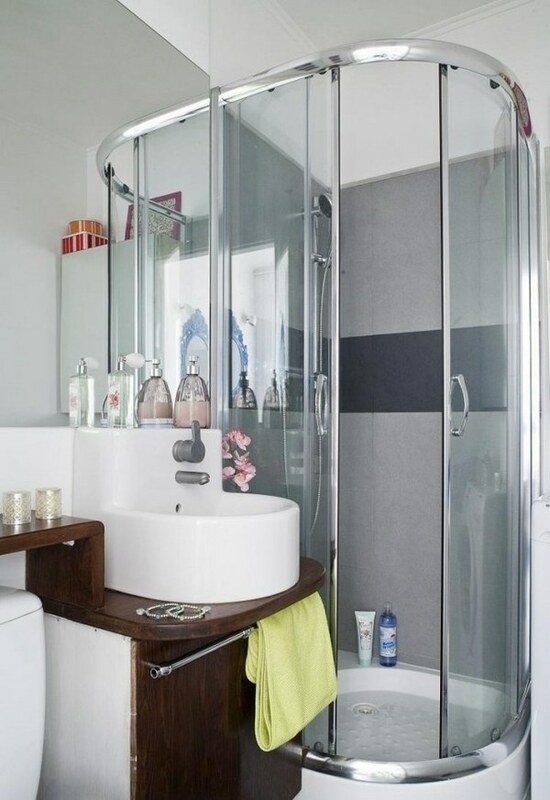 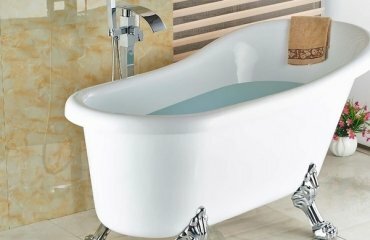 Limited bathroom space can be used effectively and creatively and one of the clever and space saving ideas is to install a shower instead of a bath tub. 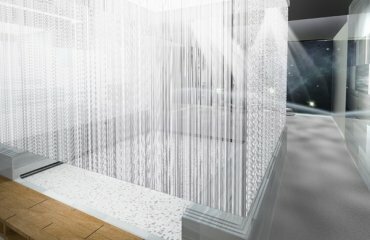 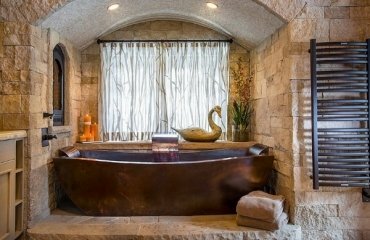 Check out these small shower ideas and find out how you can create a harmonious and inviting bathroom design. 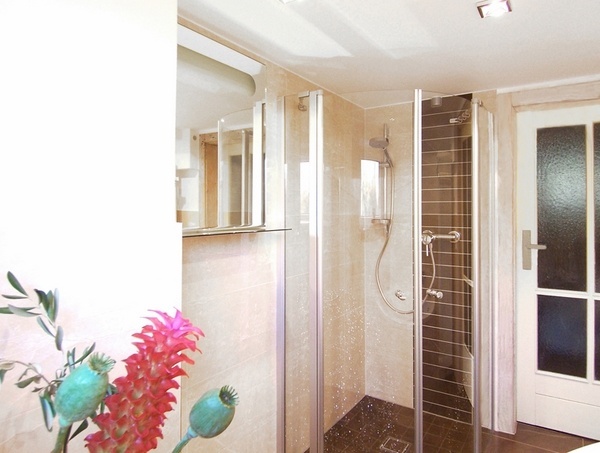 One of the most useful small shower ideas is to use a shower with two or three glass walls which create the illusion of a bigger space in a small bathroom. 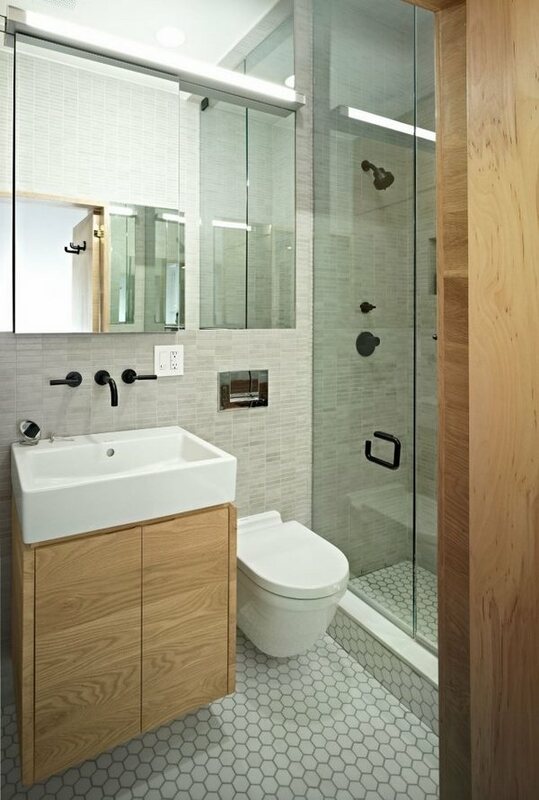 Frames are usually made of smooth stainless steel with clean, elegant lines and many modern glass showers designs are frameless, including the shower doors. 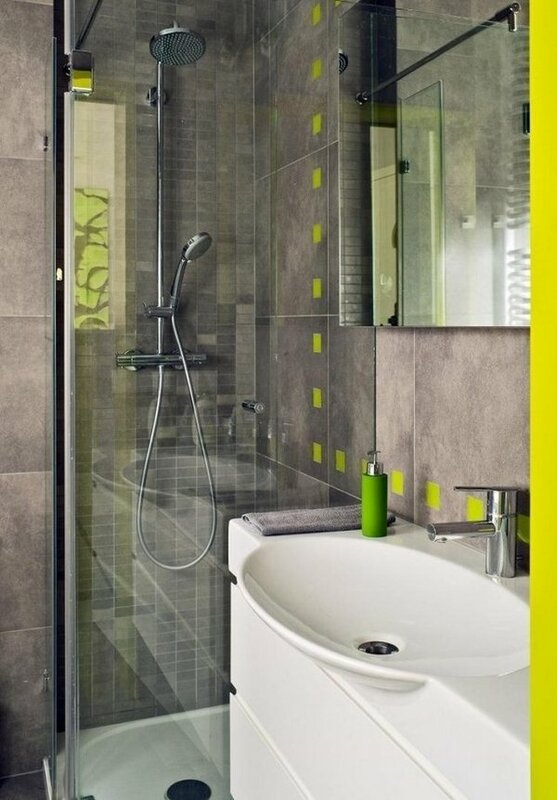 Tiles in bright colors are an ideal choice for the walls as they create an illusion of a spacious, modern space. 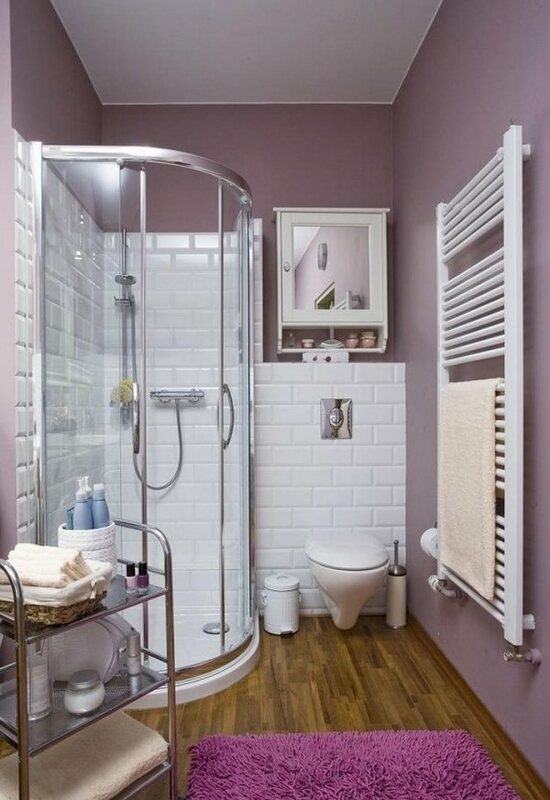 Open walk-in showers, shower stall ideas or a doorless shower, are the ones which are not fully closed. 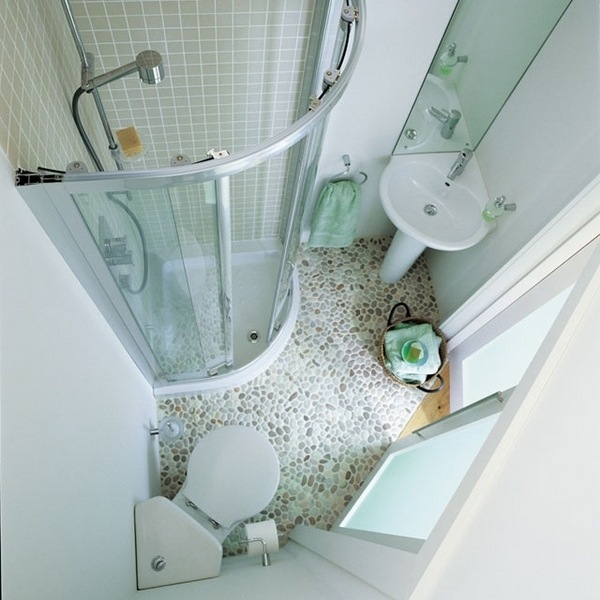 Without doors, with only a shower enclosure of glass, an open shower requires a good drainage and non-slip floor tiles. 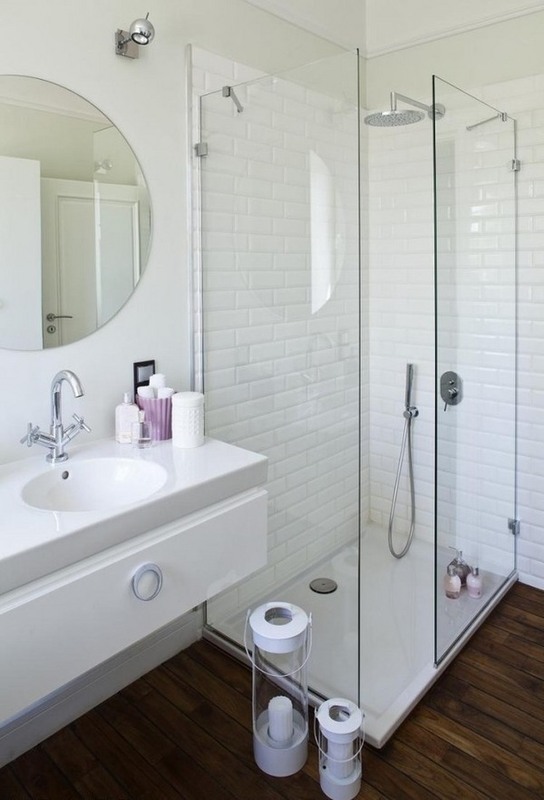 Tiles are often used to optically separate the shower area from the rest of the bathroom. 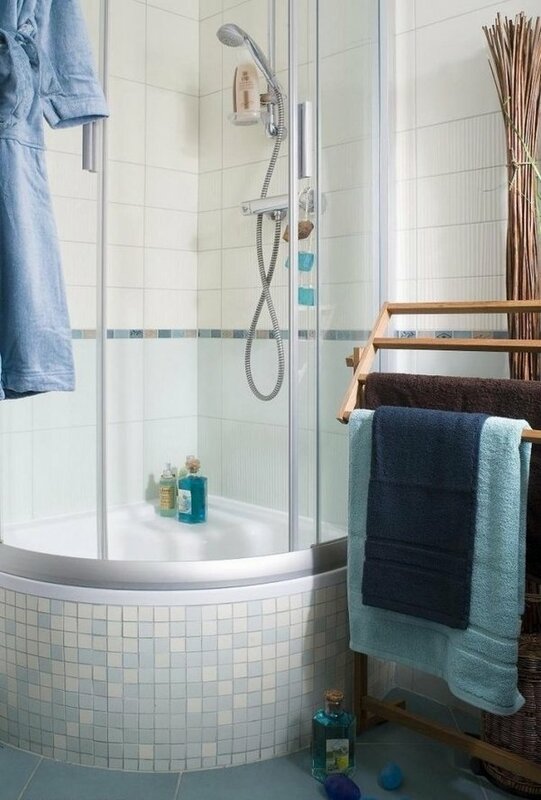 In an open shower, rain shower heads are recommended. 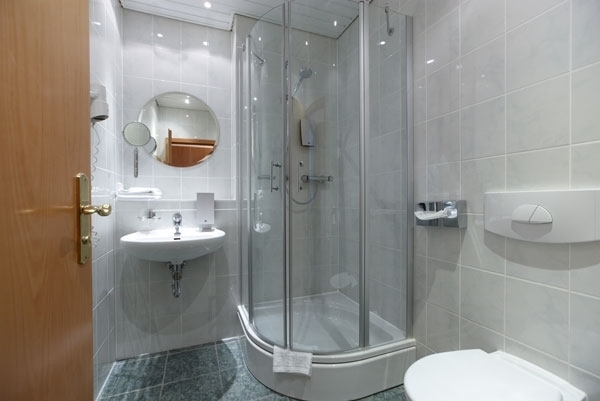 Perhaps the most practical and popular space saving idea among all the small shower ideas is the corner shower cabin. 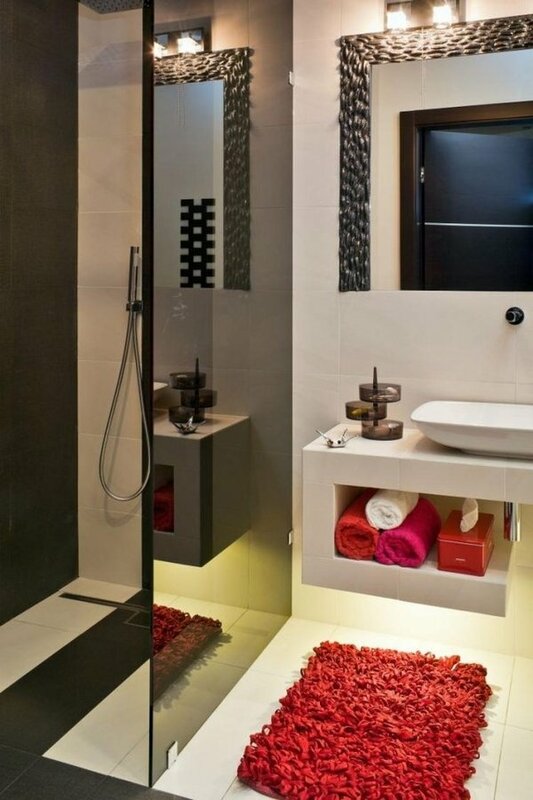 When designing small spaces you have to think carefully about how to take an advantage of the corners of the bathroom. 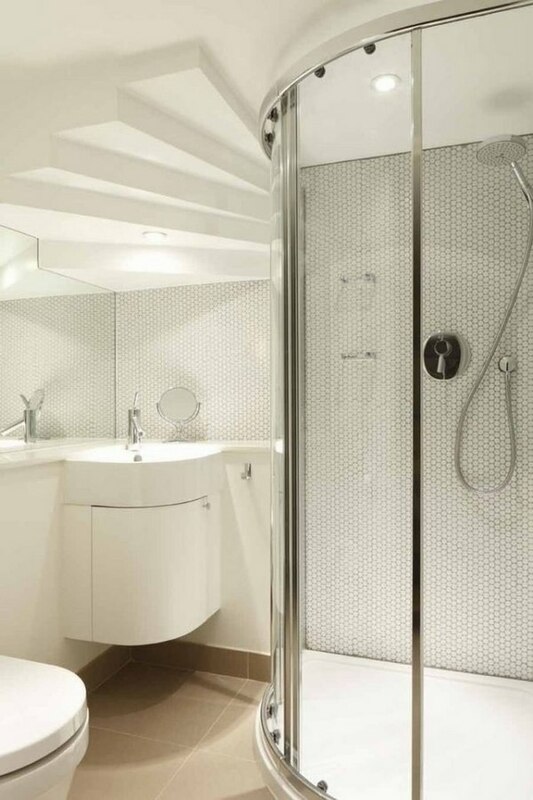 Corner showers are a great option for a modern, sleek look. 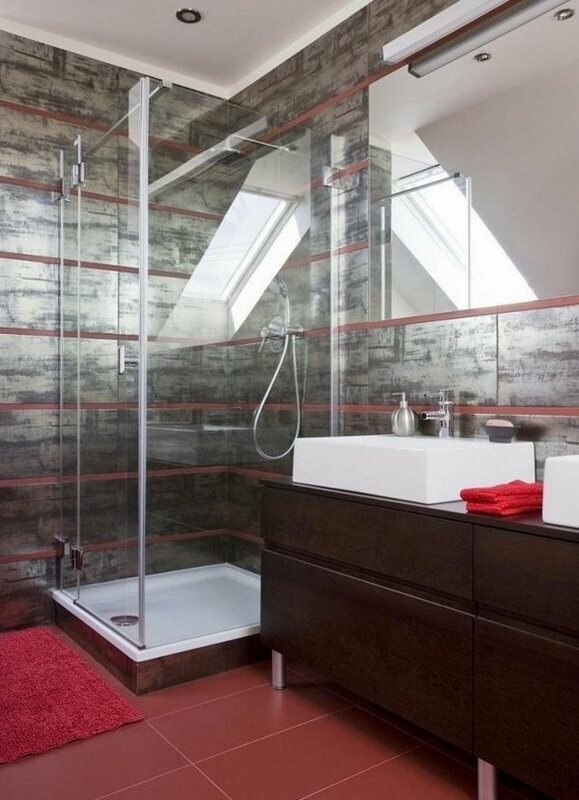 You can add small wall shelves in the corner for more storage space. 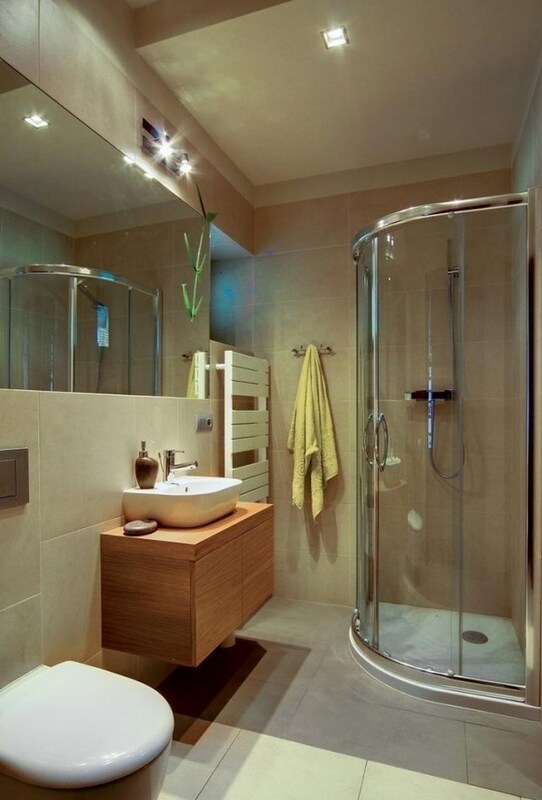 Install a high shower head to make the most of the available space.